Even gourmands crave a tasty slice of pizza every now and then. Warm, melted cheese, a soft crust, and as many or as little toppings as you like—even thinking about it is enough to set your mouth watering. If you’re in town and you’re searching for a phenomenal slice, below are the best places to get pizza in Big Bear! Maggio’s dough and sauce are made fresh in-house daily! 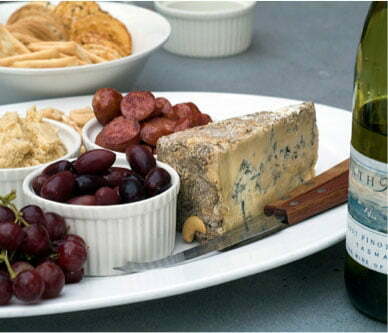 Items on their menu come in large portions and at reasonable prices. Try some delicious pizza made from scratch at No Name Pizza. Eat it in the restaurant or take a pizza home and bake it yourself! They also feature live entertainment in the “Other Room” next door on the weekends. If your whole group doesn’t want pizza and you’re in the mood for a somewhat more buttoned-up experience, head to Oakside for a tasty flatbread. You’ll find a little bit of everything here—a large menu that includes vegetarian/vegan options, live music on the weekends, and 17 different beers on tap. In a great location in the Villa ge, with a lovely outdoor patio where you can people watch as you enjoy your dinner. This is the place to go in Big Bear for some excellent deep dish pizza! Enjoy fresh, piping hot pizza and nice views of the Village at Peppercorn Grille. A great spot if you are looking for a romantic restaurant! A pizza sports bar with yummy pizza and wings. They do offer delivery, but order in advance if you take this route! Saucy Mama’s serves up some of the best pizza in Big Bear in a fun atmosphere. You’ll find delicious pizza and authentic Italian cuisine on the menu here. A neat little pizza spot in the Village. It’s laid back—you order, take a number, and then walk up to the window to claim your order. A convenient place to stop in for a slice! If you want to stay inside and eat pizza in your pajamas, there’s always Domino’s! Their pizza hits the spot, and they are possibly the fastest in town when it comes to delivery. 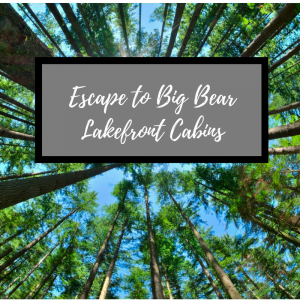 Treat yourself to the vacation you deserve by staying in a Big Bear Lakefront Cabin! 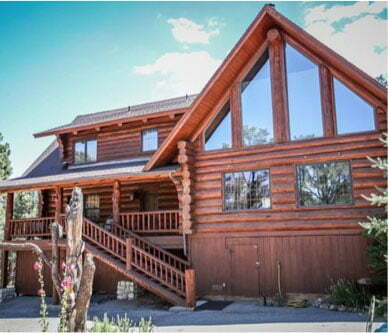 Everything about our cabins is luxurious, from the fully equipped kitchens and soft, comfortable beds to the fantastic amenities and beautiful views. 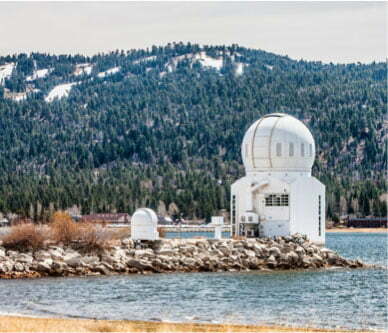 You’ll be close to all the top attractions in Big Bear, from Bear Mountain Ski Resort to the VIllage and the lake itself. 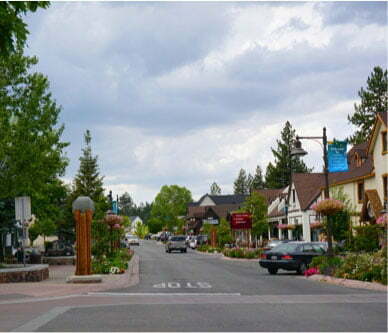 Be sure to browse all our properties and book your stay in Big Bear today!